There is an opioid crisis happening in the United States. 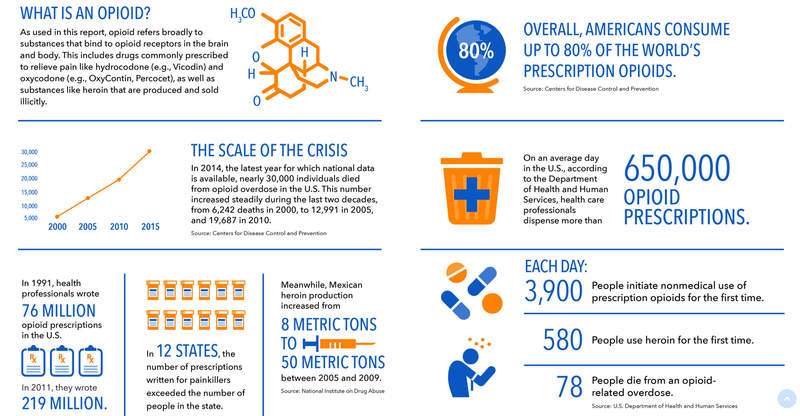 Every day more than 100 people die from overdosing on opioids. 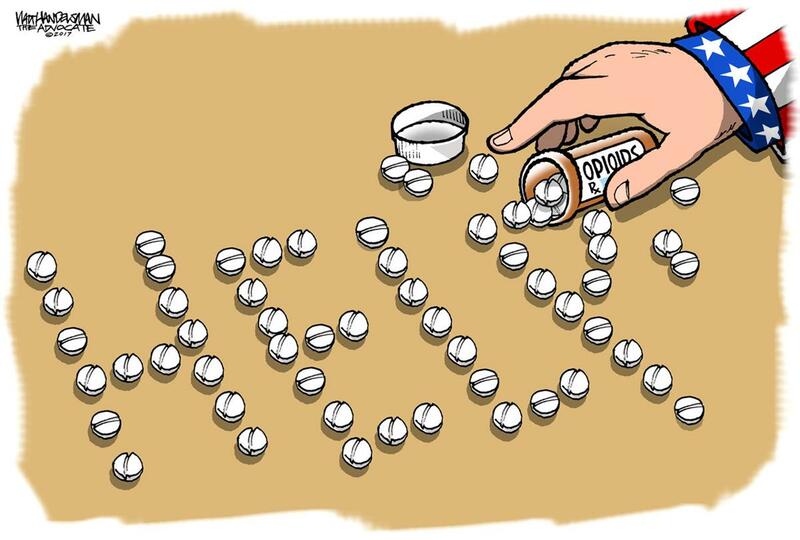 The misuse of opioids is a very serious crisis in North America. 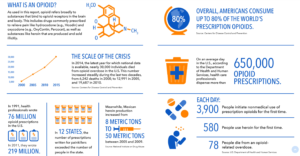 A study from the Centers for Disease Control and Prevention found that Americans consume up to 80% of the world’s prescription opioids. Public health officials in all 50 states have called the current opioid epidemic the worst drug crisis in American history. 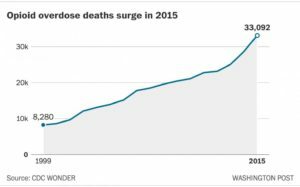 In 2015 alone over 30,000 people died due to overdosing on opioids or heroin. The overdose deaths were nearly equal to the number of deaths from car crashes. 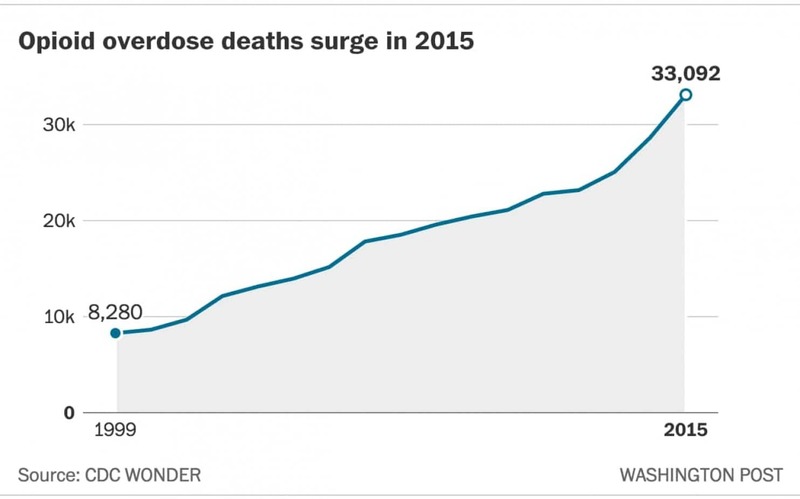 To put this in perspective, in 2015 alone the deaths from heroin surpassed gun homicides. 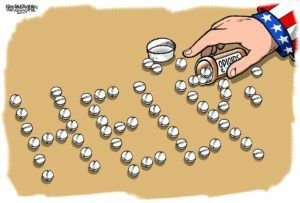 Late in the 1990’s, pharmaceutical companies assured the medical community that patients would not become addicted to prescription opioid pain relievers, and health care providers began to prescribe them at a higher rate. The result of this was a widespread diversion and misuse of these medications before it became abundantly clear that these medications could be highly addictive. “I had a career in sales in the automobile business. I was making a lot of money, upwards of $100,000 a year. Then I started up with the OxyContins. It’s an amazing feeling, that warm hug from Jesus. It started as a once-in-a-while thing. But I began telling myself, “Well, if I can feel this good on Friday and Saturday, why shouldn’t I feel this good on Tuesday and Wednesday?” And then the price started going up, and all of a sudden they’re $80 a pill. At this point, I’ve got a six- or seven-pills-a-day habit. I wouldn’t get out of bed without one. I always knew about heroin, but it was a line I didn’t want to cross. But, you know, the ship had already sailed. An opiate’s an opiate’s an opiate. I’m not trying to die, contrary to people’s belief. I’m not trying to kill myself. I’m just an addict. What can be done about the opioid crisis crippling the US? Individual therapy, family therapy, group therapy, expressive therapies in recovery, medical and psychiatric sessions are just a few of the ways that can help someone and beat their addiction. The key is to find a life-long recovery, happiness, and purpose-filled life without an addiction. Every day that passes is important to recovery.